Comedian Mike DeStefano, known and respected for his brutally honest approach to stand-up, passed away on Sunday night after suffering a heart attack. 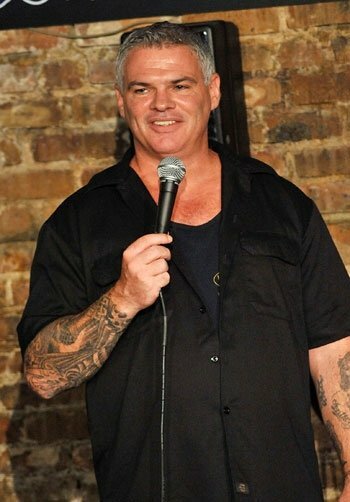 DeStefano, who gained some mainstream success last year due to his final five stature in the most recent season of Last Comic Standing, was set to perform his one-man show A Cherry Tree in The Bronx on Wednesday at the Barrow Street Theater in New York City. He had just finished a run of sold-out shows, as he performed a similar show under the title Drugs, Disease and Death: A Comedy at the Producer’s Club Theater in New York. DeStefano, who was HIV positive, had overcome severe drug addiction and the death of his wife; a lot of his material, especially his new show, centered around these things. We are indeed incredibly saddened by the loss of this amazing man. He had touched the lives of many with his unique brand of comedy and was looking forward to sharing the same with so many more. Mostly, we will all miss his huge heart and incredibly loving and selfless passion for people. previous post: Charlie Sheen Fired. So Much For Winning. 50 queries in 0.709 seconds.